Tow up to 10,000 lbs with supreme safety and the convenience of an adjustable 4" drop and 4" rise with the Rapid Hitch ball mount system. 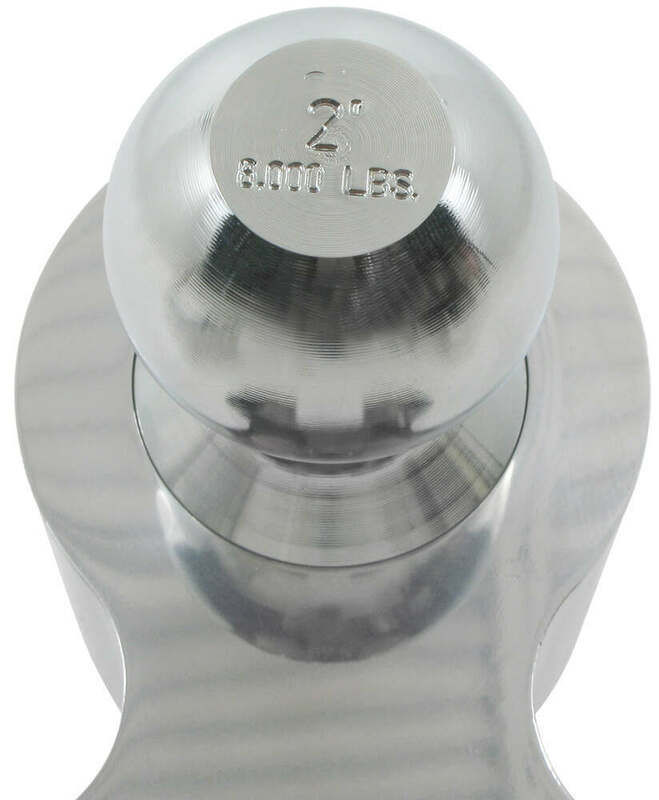 Includes zinc-plated steel ball combo (2" and 2-5/16"). Fits 2" hitches. 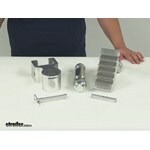 Call 800-298-8924 to order Andersen ball mounts part number AM3460 or order online at etrailer.com. Free expert support on all Andersen products. 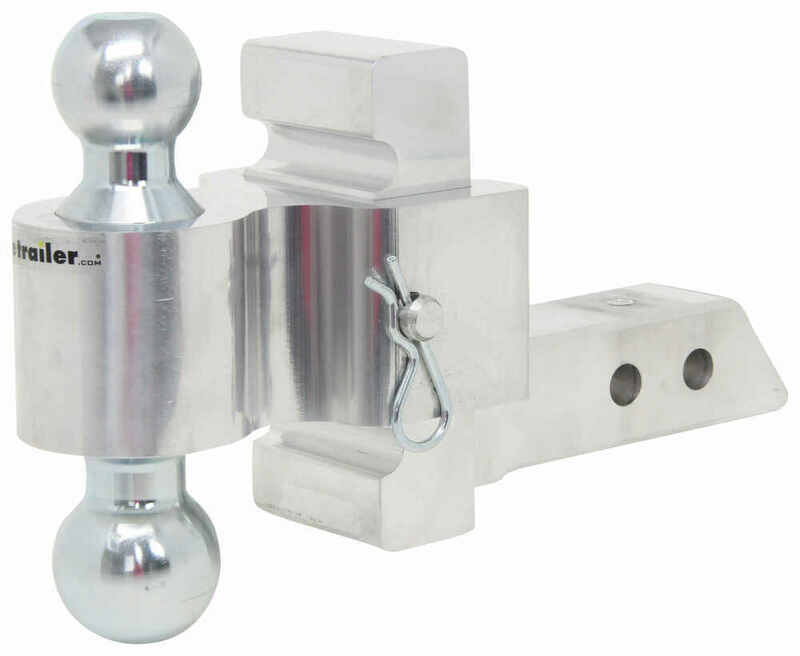 Guaranteed Lowest Price and Fastest Shipping for Rapid Hitch Adjustable Aluminum Ball Mount Kit - 2 Zinc Balls - 4" Drop or Rise. Ball Mounts reviews from real customers. 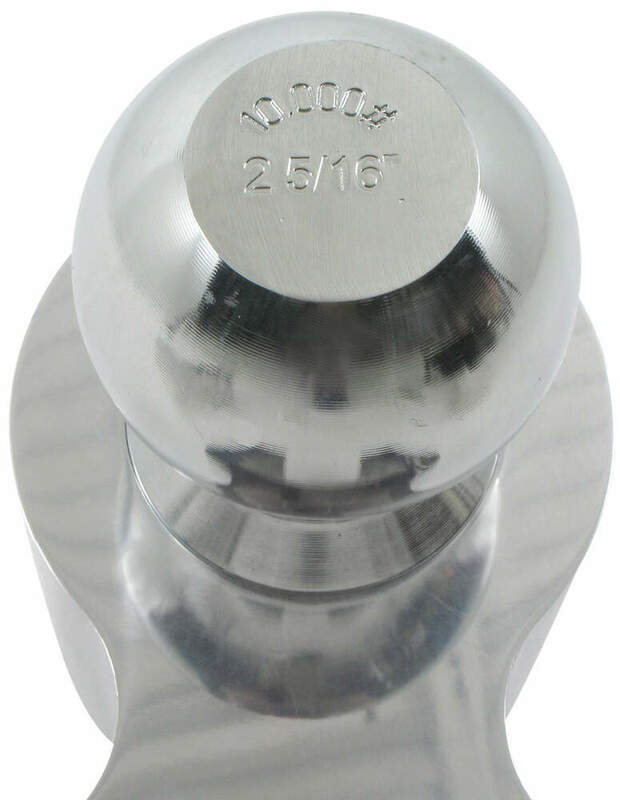 Measurement from center of short hitch pin hole to center of ball hole: 8-1/4"
Measurement from center of long hitch pin hole to center of ball hole: 9-3/4"
Today we'll be review part number Am3460. 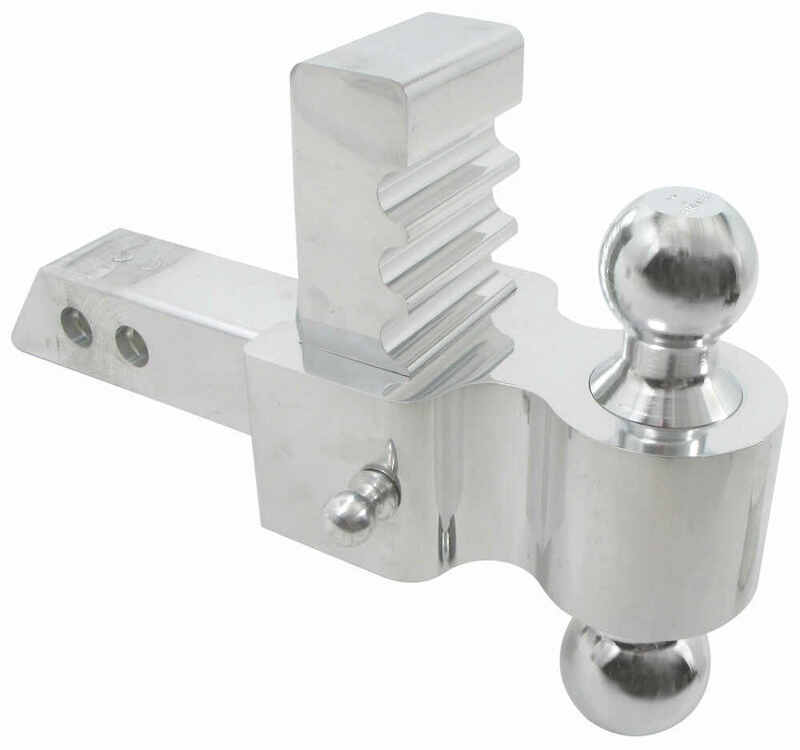 This is the Rapid Hitch Adjustable Aluminum Ball Mount, from Anderson. 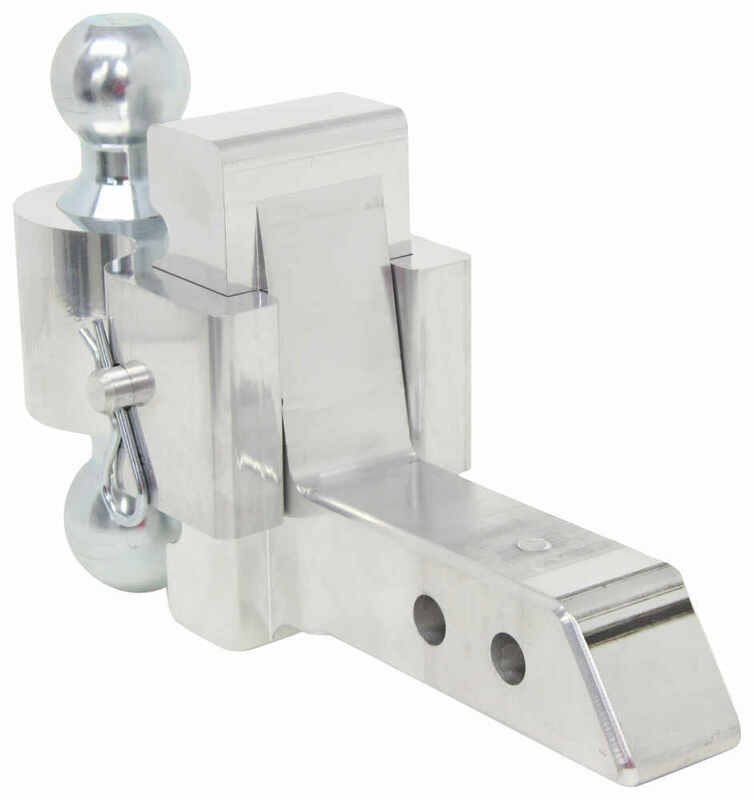 The adjustable aluminum alloy ball mount is designed to fit a two inch by two inch trailer hitch receiver. Before we really get started, I just want to show you how to go ahead and assemble everything. This right here is your ball platform. What you'll do is you'll place your ball into the platform and then you can move it until you get your pin holes to line up with one another. Then you'll take this pin here, you're going to slide it in until you get it to line up. That pin is going to sit down all the way in there, so you'll know when that's seated correctly when it's pushed all the way in and flush with that other surface. Now with the ball installed in the platform, you're going to install this on the adjustable shank. We're going to be setting it at it's lowest setting today. Once we have it set we can just take our pin and clip, place it through and then secure it on the other side. So now all that would be left to do is go out and actually install this onto the hitch of our vehicle and make our connection, then we'd be ready to go. 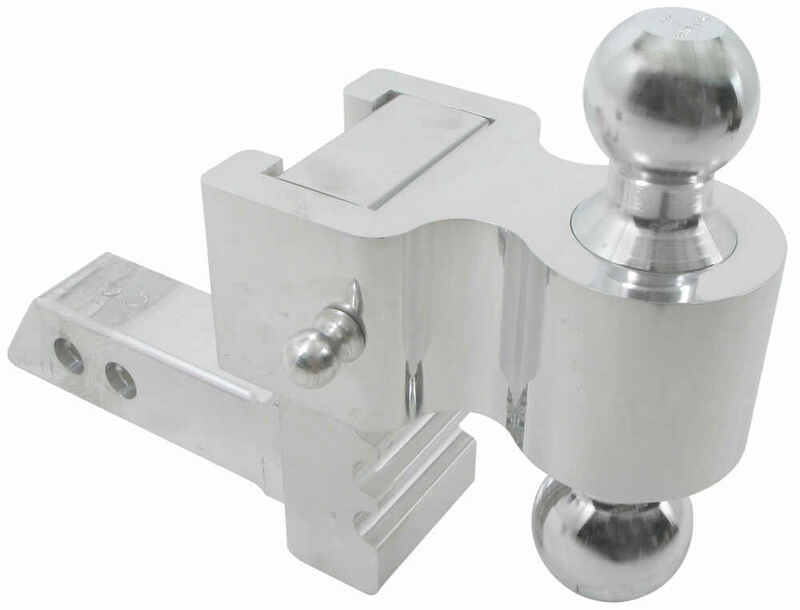 This ball mount will adjust in increments of one inch. It will adjust up to a three and a half inch drop or a four and a half inch rise. Again one inch in between those measurement. 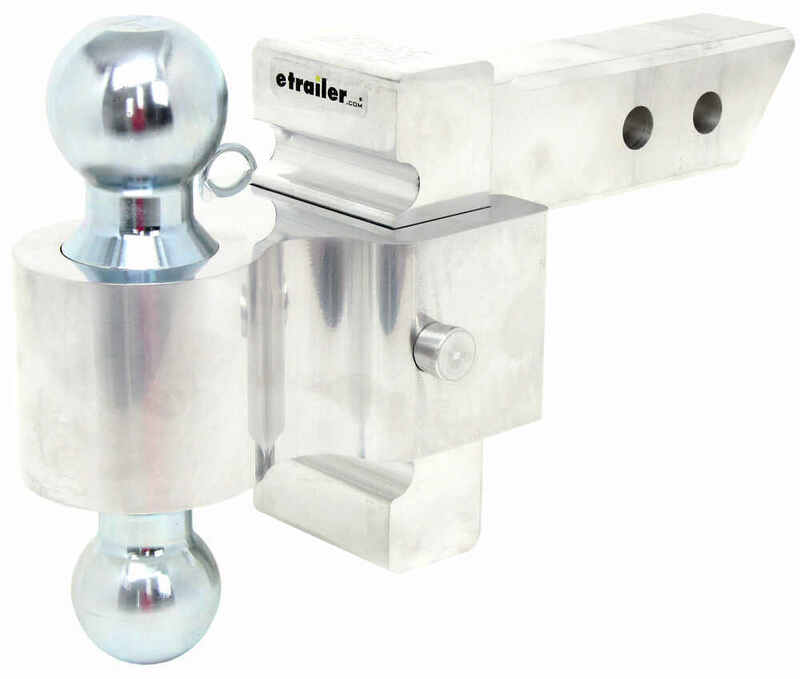 The adaptability of this mount is going to allow towing of various trailers by still using the same ball mount. Here at the rear you're going to have two different hitch pin hole locations that just allows for further adjustment. It's going to come with two chrome plated steel hitch ball. The two sided platforms going to feature a 2 inch hitch ball and a 2 5/16 hitch ball. The hitch ball secures to the ball housing with that internal pin that I showed you earlier, that is included. That just going to allow for easier interchangeability. You can also add additional ball mount sizes. You don't have to use the ones that it comes with, you can purchase another set separately that can replace the originals. 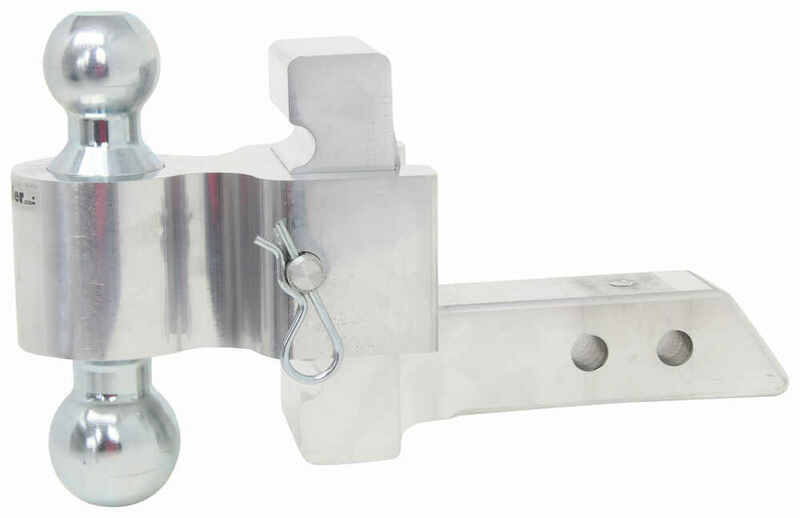 When you insert this into your hitch, you will need to secure it with a hitch pin and clip or a hitch pin and lock. Those are going to be sold separately. If you don't already have one you can refer to our website. 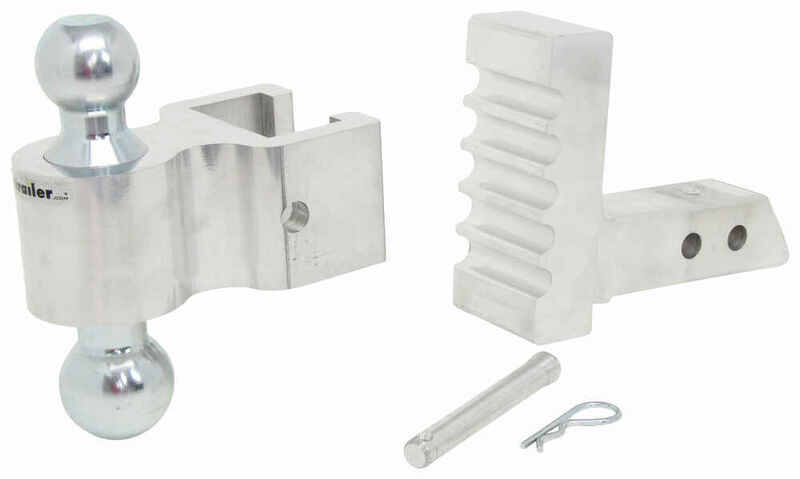 It's just going to use a standard 5/8 inch pin and again, you'll need to use a clip or a lock on each side to secure it. A great option would be part number Pc3, that's just going to be your standard 5/8 inch pin and it's going to come with a clip. 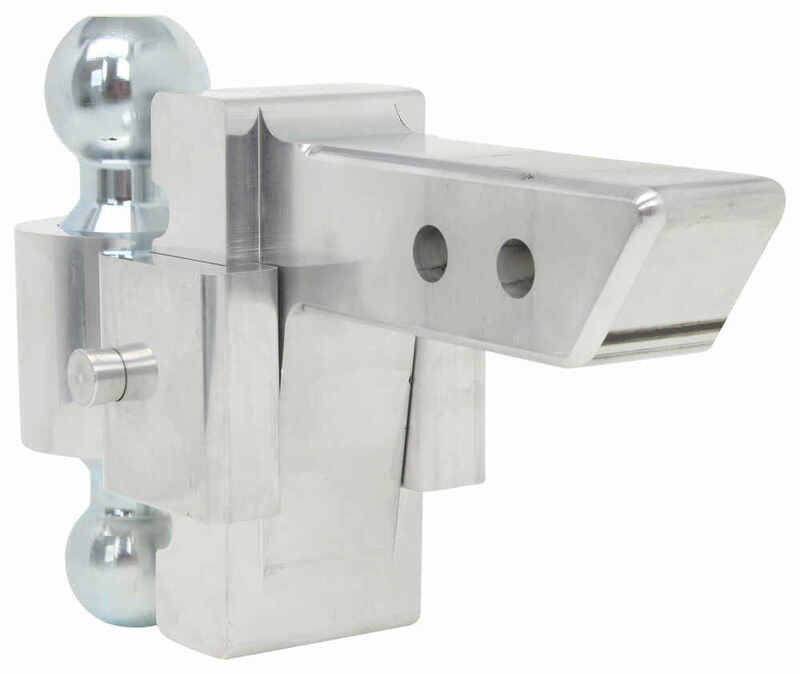 This is designed to fit two inch by two inch trailer hitch receivers. It's also going to be compatible with 2.5 inch by 2.5 inch receivers when using the 2.5 inch to 2 inch adapter sleeve. That's going to be sold separately with apart number 58102. Again, you're going to have a 2 inch ball and a 2 5/16 inch ball. When using the 2 inch ball you're going to have a gross towing weight of 8000 pounds. When using the 2 5/16 inch ball, you're going to have a gross towing weight of 10,000 pounds and 1500 pounds when it comes to towing weight. The maximum rise that this units going to provide is going to be 4.5 inches. That would be installed in this position. At it's highest setting, measuring from the ball platform to the inside top edge of the receiver tube of your hitch. If we we're to keep it installed in the drop position, do that same measurement, it's going to provide that maximum drop of 3.5 inches. If we take a measurement from the center of the hitch pin hole to the center of the ball hole, I'm going to measure from the pin hole that's closest to the back of the upright bar, that's going to give us a measurement of 8 1/4 inch. The distance to the center of the hitch pin hole to the center of the ball hole using that back pin hole location, that's going to give us a measurement of 9 5/8 of an inch. From the center of the hitch pin hole to the back of the upright portion, again measuring from the shortest one first, that's going to give us a measurement of 2 3/4 of an inch. Then the further one, that's going to give us a measurement of about 3/8 of an inch. That measurement is important to keep in mind because you wan tot make sure you have enough clearance between the outer most point of your vehicle and the rear of the upright portion of the ball mount. If we take a measurement of the overall length, measuring from edge to edge, it's going to give us a measurement of about 13.5 inches. Again, this portion here, slides into the receiver tube of your hitch. It's got the nice slanted design, so it's going to slide in and out really easily. That's going to do it for our review of part number Am3460. 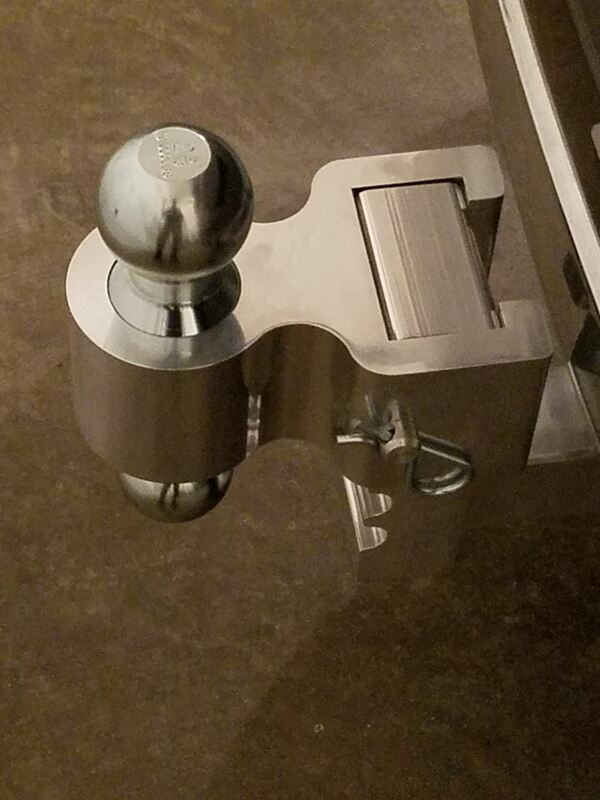 This is the Rapid Hitch Adjustable Aluminum Ball Mount. .
Order: RelevanceNewestRating - High to LowRating - Low to High Tow up to 10,000 lbs with supreme safety and the convenience of an adjustable 4" drop and 4" rise with the Rapid Hitch ball mount system. 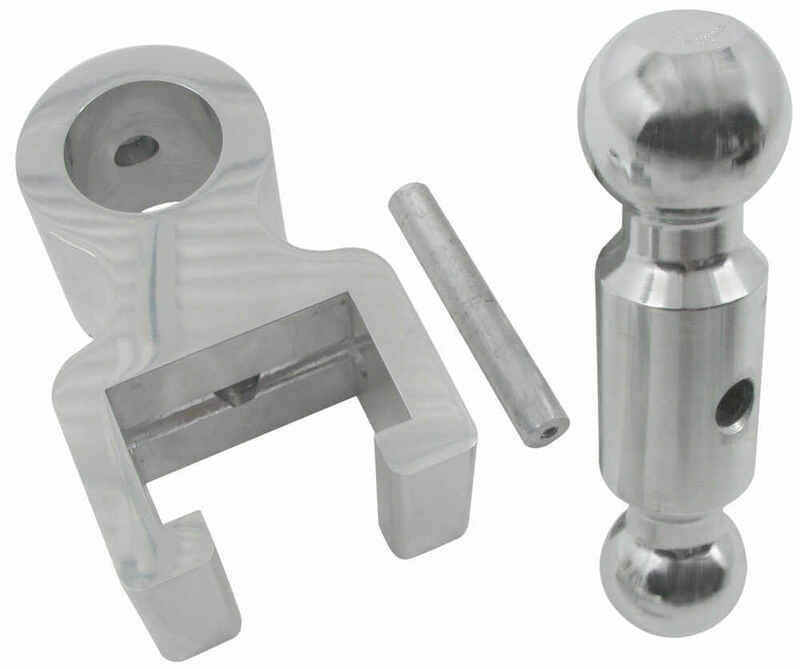 Includes zinc-plated steel ball combo (2" and 2-5/16"). Fits 2" hitches. Ive used this ball mount a lot over the last year both in the 2-inch and 2 and 5/16-inch configuration and it has held up very well. There is a small grove in the shaft from my hitch receiver but, otherwise, it still looks almost new. 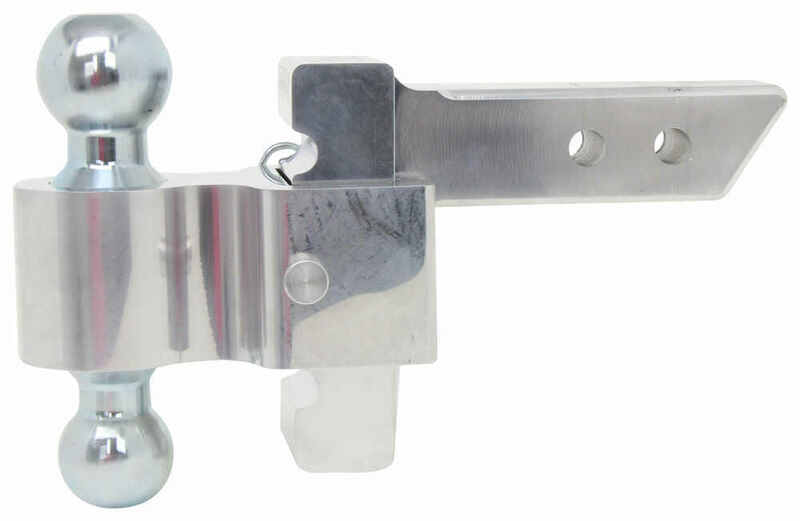 I did ultimately purchase the lock set for those occasions where I would be disconnecting the trailer, I was towing overnight but didnt want to remove the ball mount only to have to put it back on in the morning. I contacted Andersen and they ship the ballmounts out with the ball portion on the shank backwards. Sometimes the ball will get wedged on there during shipping. According to Andersen you can use a rubber mallet and gently dislodge it. The hitch pin did not push through when I flipped the ball mount over into the receiver. I contacted the manufacturer twice and after two more replacements, the ball mount worked as advertised. The hitched looked great during the summer, but the winter road salt and sand took its toll, But at least its not all rusted and overall Im satisfied with the product. After a year of use I love it. I hear too many problems from friends with other hitches and Im very satisfied with this purchase. It has stayed clean and shiny with just normal car washing and it still adjusts up and down smoothly. Still plenty sturdy and no more wiggle on the shaft then it had when I got it. Highly recommend getting the upgraded stainless steel locking pins from Andersen. Both locks are matching for each pin and far more secure than the standard barrel locks. Ive been stopped more than once in a parking lot by someone asking about my hitch & dual lock set-up. I refer them to your site! The hitch works great and the fact that it can be raised/ped is the main reason for the purchase. The dual locks with a single key is handy! A good pair of chocks is needed in every garage for the home mechanic and for camping with a trailer. They smell terrible for a while, just dont store in your car/trailer camper. Money well spent. Your site is my first stop for my trailer needs! thanks! Leon, I have the same problem and am looking for a resolution. Ive called Andersen my CA sales rep and left a message.Id even be interested in paying for a custom shank length to be built for me needs. Well see, fingers crossed. $259.35. For this ball mount the distance from the center of the hitch pinhole to the back of the upright bar is 4-1/4 inches, vs. the Rapid Hitch # AM3413 is 3 inches. The Andersen Rapid Hitch you mentioned, part # AM3460 includes a 2 inch and a 2-5/16 inch trailer ball. Anderson does indeed offer a replacement ball assembly that includes the 1-7/8 and the 2 inch trailer ball, part # AM3425 or if you prefer the grease-less AlumiBall, it's available as part # AM3436. If you need the replacement ball housing for the AM3400 series (like the AM3460 you referenced) it's available as part # AM3423. If you have adjustable coupler # AM3460 then it sounds like it is all there based on your description. Take a look at the picture I have included that shows the clip through the hole on the pin that holds on the ball platform. If this is how your set up looks then it is correct. If it is different than this email me some pictures and I can determine if anything is needed. In order to make a recommendation about which ball mount would be best for your needs, I'd really need to know the coupler height of the trailer when it's level. Give that the average coupler height is between 16 and 19 inches. Based on that, I'd recommend the # AM3410. Both the ball mounts you mentioned are the same price. You might as well get the model that offers the most flexibility. The distance from the center of the ball hole on the Andersen Ball Mounts # AM3460 to the hitch pin hole furthest away from it is 9-5/8 inches. 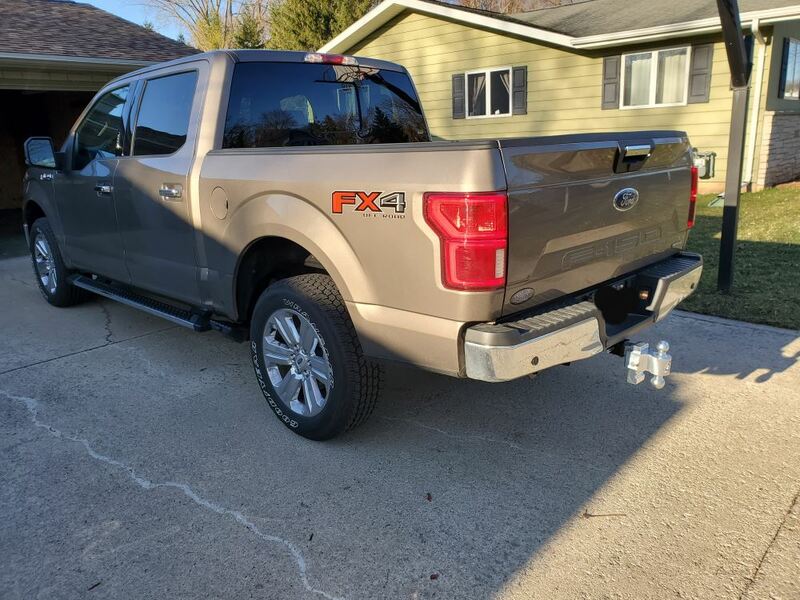 As long as you have a 2 inch hitch installed on your 2015 Ford F-150 Super Crew the Rapid Hitch part # AM3460 that you referenced would fit and work well. I couldn't find any reports that the ball mount interfered with any sensors.